​How do we harness the power of blogging to get students jobs, create authentic writing tasks, and strengthen our learning community? In a networked world where online connections can make the difference between getting a job/ client and not, are we teaching students how to harness the power of the internet to get a head start? Or are we limiting what students can do by asking them to unplug at school? What worlds of knowledge can we open up to students when we allow them to participate in the greater online community? Blogs in schools can serve as a way to connect students to experts in the field who can offer advice, encouragement, and even internships and jobs. Blogs can allow for students to teach one another what they know. Blogs can help students to document and defend their learning and growth over time. 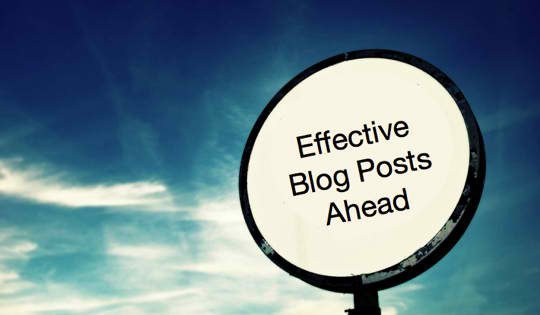 Blogs provide authentic writing opportunities, authentic reading audiences and authentic connections. It's time for educators to harness the power that blogs can provide to amplify engagement and provide real world connection to the greater community. Since the inception of the school 20 years ago, students at New Technology High School have been expected to create digital portfolios to showcase their work and learning processes. The digital portfolio has been a graduation requirement from the very beginning and used to act as something of an online brochure-type website where static content lived on pre-scripted pages. Over the years, students and staff have grown to feel as though the portfolio has become nothing but a hoop to jump through, an inauthentic product that does not go beyond self-reflection. Students often reported that, after the portfolio was completed, no one actually used or looked at their product, not colleges, nor future employers. Last year, using the design thinking model, I was a part of a portfolio committee of students and staff that met weekly to review and revamp the portfolio expectations and process. Our goal was to expand the portfolio idea to more than just an online brochure, to a place where students and staff could, not only show what they learned, but teach each other through a shared online learning community. ​To that end, we moved toward a blogging model, so that students could 1) teach, 2) reflect upon, and 3) document learning, all in one place. The concept was that not only could the blog posts be shared within the New Tech community, but that it would open up opportunity to share with the wider online community, both locally and globally. Now that we have rolled out the basics of the blogging program, our school is ripe for teaching, reflecting and documenting, but to assume that students and staff now understand how to go about implementing those three main ideas is over-reaching. My capstone explores how to make explicit what an effective blog looks like, using the models and concepts learned in the Innovative Learning graduate program at Touro. 10th Grader Shares Blog and Gets 300 Hits! "I can't believe I had that many people visit my blog in just a few days! I'd better get my resume up on my website soon! Oh, and my photo gallery to highlight my photography!" Now that's an authentic step toward becoming Workforce ready!